Yoga expert Rodney Yee, along with Colleen Saidman, teach the basics of yoga poses in a 40-minute pose training session, then provide a 20-minute morning workout and a 15-minute evening workout. 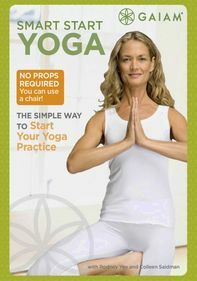 You'll be able to study and practice 19 different yoga poses as Yee teaches you how to perfect the forms and avoid common mistakes. Then you can start and end each day with a refreshing, relaxing workout to give you that lean look and strong core.